Want to learn how to make sushi? You’re in the right place. There are quite a few sushi making experiences in the UK’ and most of them are run by experts from Yo! 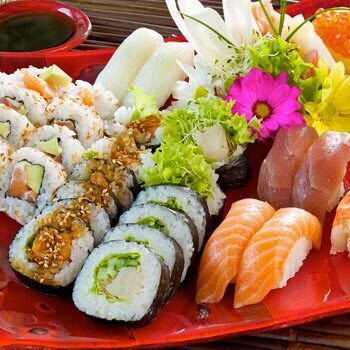 Sushi – So for a start you can be sure you’re getting taught by the best. Are all the sushi making experiences run by Yo Sushi? No, but most are. Even if the experiences aren’t marketed as “Yo Sushi”, like some of the experiences from Red Letter Days, if you read a bit more about the descriptions, you’ll find out that these are run by Yo sushi too! The only real difference between those marketed as Yo sushi is you pay £10 more for them, but get to take home a bento box full of sushi goodness. Oh, and they’re all in London. And that includes the best and the cheapest ones. They’re all sold by the premier experience day companies (we’ve ruled out the sharks and bad guys) so you know they’ll be good, and our real time price checker makes sure to give you the lowest prices and the benefit of all current offers. This is your one-stop sushi-making course shop!! On this experience, you make sushi. Ok, if you want a bit more info, then here goes: I went to a standard Red Letter Days sushi experience in Nottingham, but it’s pretty similar to all the others. The experts gave a talk on the history and origins of sushi, then showed how it was done, using their skill to make some fabulous sushi dishes while we watched. Obviously it’s really just putting ingredients together and rolling them up, but if it was that easy everyone would do it. It’s quite a detailed experience and we spent about two hours learning and doing. Am I a sushi expert now? Now I was never a sushi expert to start with. I’ll eat it occasionally but wouldn’t have dreamt of buying the ingredients and putting it all together myself. After this experience though, I took away enough knowledge and information to successfully shop for and make some great sushi of our own at home. This is the best thing I can say for the experience, and why I’ve marked it quite highly. Some other food and drink experiences such as the cheese making experience show you how it’s done but you could never do it at home. This sushi experience gave some great ideas and taught me a new skill that I’ll actually use! Watch out for cats and grizzly bears after you leave – your hands smell so fishy they’ll be following you home! Birmingham; Nottingham; Newcastle upon Tyne; Leicester; Glasgow; Reading; Oxford; Liverpool. Make sure you read the description before you buy, so you know the specific experience can be used where you want. You might like to know also that it’s quite a popular thing to take an interested group on an outing from where you work. So why not get together with a group of mates and make an outing out of it?? Sushi making experiences – the best and the cheapest4.33333333333Sarah FirminTry a sushi making experience where the experts tell you the tricks of the trade and help you on the first steps to this fantastic traditional culinary art. It’s an original cookery experience idea for foodys, and you’ll experience some tasty, fishy fun.